I started my lab at Sheffield in March 2017. Before moving to Sheffield, I worked as a Post-doc in Prof. Shelley Berger’s lab at the University of Pennsylvania in Philadelphia, and with Prof Xiaodong Zhang and Prof. Dale Wigley at Imperial College London. I was awarded a Sir Henry Dale Research Fellowship from the Wellcome Trust and Royal Society in 2018. 2017-present: Research Fellow, SInFoNiA, Department of Molecular Biology and Biotechnology, University of Sheffield, Sheffield, UK. 2011-2016: Postdoctoral Research, Department of Cell and Developmental Biology, University of Pennsylvania, Philadelphia, USA. 2009-2011: Research Associate, Imperial College London, London, UK. I joined The Bose Lab in November 2017 as a PhD student. Before then, I undertook a long and adventurous journey around the world. I previously worked on a gene delivery project in Dr. Marek Kovar’s lab of cancer immunology at the Academy of Sciences in Prague, Czech Republic. Chris is a 4th year MBiolSci student. He is working with us for the duration of his final year lab project, developing methods for probing RNA structure with single molecule FRET as part of our collaboration with Tim Craggs. Naimah joined the lab in March for her project placement as part of the MBB genomic medicine masters. 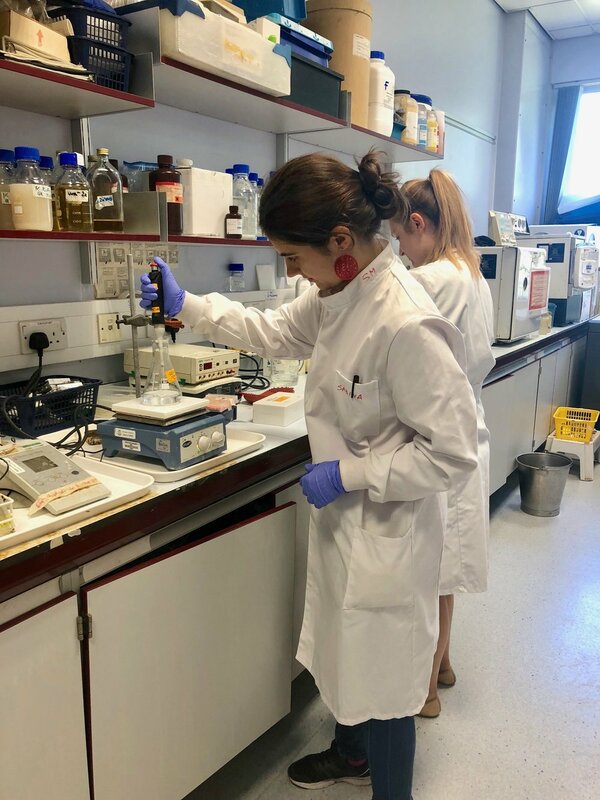 Imo joined us as a SURE undergraduate rotation student in June 2018 at the end of her second year as an undergraduate in MBB. Since leaving the group, she has started her 3rd year studies, and hopes to complete a Masters degree. 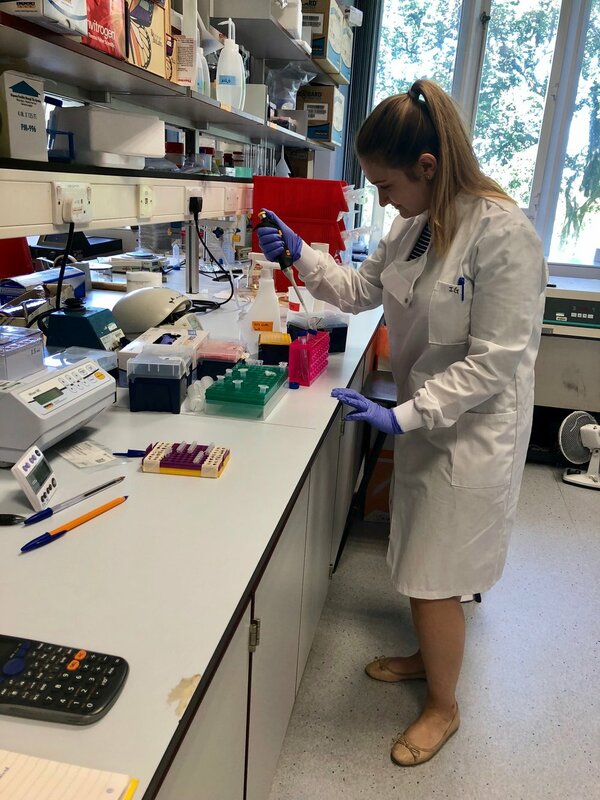 Sabina joined us as on a highly competitive Genetics Society UK summer studentship at the end of her 1st year of undergraduate studies. The studentship also included a two day symposium in Edinburgh where Sabina presented her data. Since finishing her project, Sabina has been working on her 2nd year undergraduate course in MBB. Morgan, James and Josh joined us for their 3rd year lab placement projects at the end of 2018. 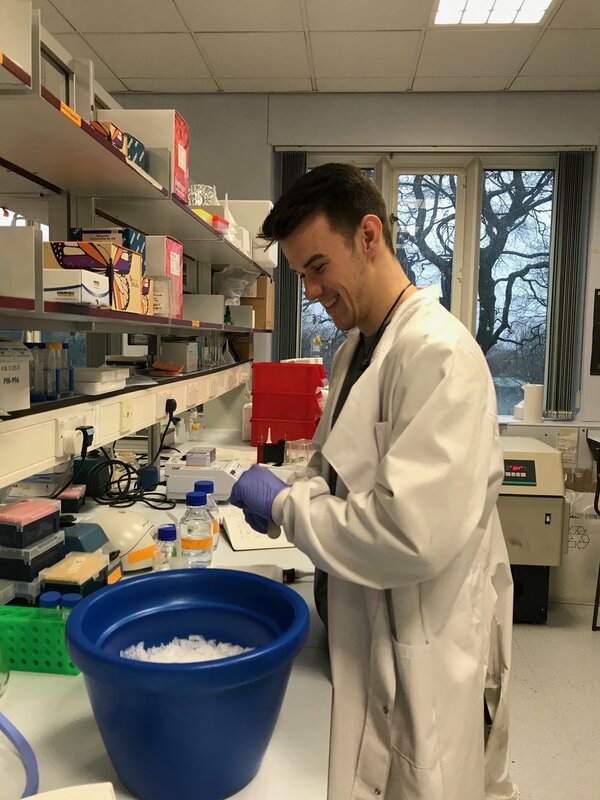 Christian joined the lab as a 4th Year MBiolSci student, following on from a 3 year undergraduate at the University of Sheffield. Christian is originally from just down the road in Derby, and will be working on in vitro assembly of transcriptional co-actvator complexes. In his spare time he is actively involved in charity work with the University students union. Since Graduating, Chris has been travelling around Australia.